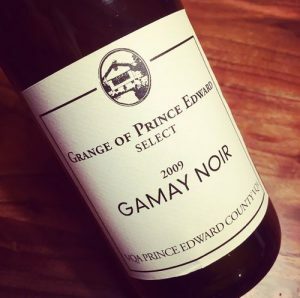 There is no secret here if I say that I like Prince Edward County and its wines and it has been that way for a few years already. 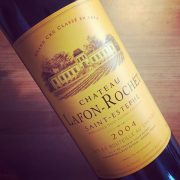 With time I did gathered a bunch of these bottles and I was ready to open a few of them in an horizontal tasting, or all wines coming from a single vintage. This would be a great way to virtually do a tour of this region I like so much! My choice? All wines were to be from the 2009 vintages. All I needed was good friends to open all these bottles. My intent was to do that “tasting” on December 31, but the cold and sick kids made me push away this evening from a few days. Since we were more thirsty than ever, I had to add some extra bubbles to the lineup to help us wait to get to these 2009 wines. Traditional Method. Made of 60% Chardonnay and 40% Pinot Noir, aged on lees for 5 years, no dosage. 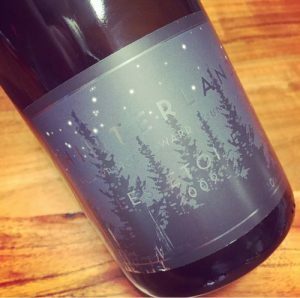 The 750ml bottles of this are not available anymore, but you can get some magnums on Hinterland’s website! Got mine, of course! 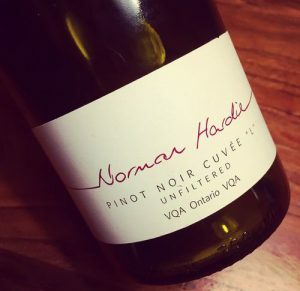 Norman Hardie’s are represented in Québec by Vin Dame Jeanne. 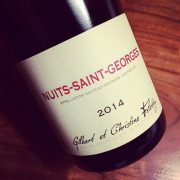 Made of estate grown Gamay. Aged 24 months in French oak barrels. Jump on the occasion to by and cellar these wines from this amazing area! Why say such a thing? 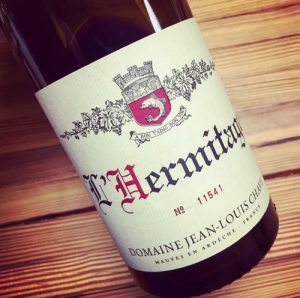 First, let’s take a moment and talk about what is the Domaine Jean-Louis Chave. 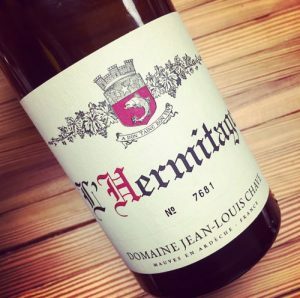 Among the great wines of the world, within the French wine elite, the Hermitage appellation sitting in Northern Rhone Valley are ranking at the top of this scale with Chave being one of the best ones. The Domaine Chave is a family story since 1481 and 16 generations have run this house since its beginning, from father to son. 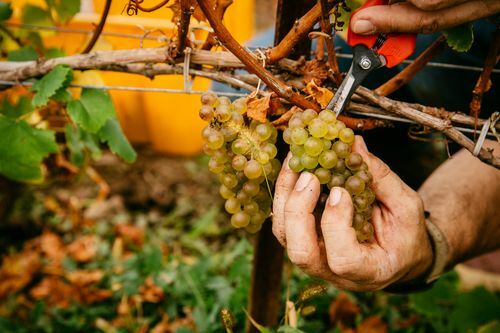 They started producing wines in Saint-Joseph and it’s been only about a century since they established themselves on the hills of Hermitage to move away from phylloxera that had damaged their other vineyards. 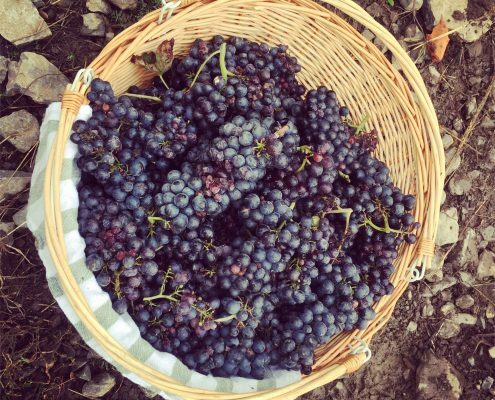 They now own about 15 hectares of vines spread out on many climates (or areas) of the Hermitage hills and when vinified, they are blended together to produce one amazing wine of each color. There is no single parcel wine nor special cuvees. 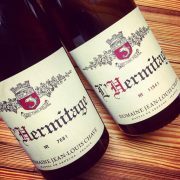 Just the best of what Hermitage can offer, either in white or red! 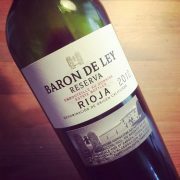 They may be hard to find and not the cheapest wines around, but how could one refuse to have them when so kindly offered! 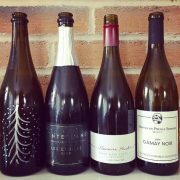 Following a tasting in the offices of their agency, the following wines were poured to help this another busy year to end on the best note possible. Another year review? Of course! But don’t worry, it won’t be my Top 10 favorite wines, bubbles or beers, even if I like to write some from time to time. What if we were just talking about wine? 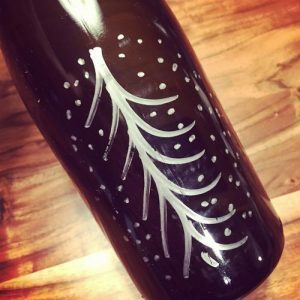 From great to less good moments in wine that happened in 2017? In 2017 the wine took another path or route for me. I kept writing here as I do for more than 3 years now and that allowed me to taste hundreds of wine at home, during events or at different wineries I’ve visited through the year. And then came the desire to do something else while still keeping a feet into the wine’s world. Of course I like meeting all kind of people, to hear what they have to say, to have a better understanding of their vision in regards of producing, distributing or serving wines. To get the “why” behind all of that. That’s actually my favorite part of being a blogger! Writing on wine is still something I want and will do, don’t worry, I have to share this passion for this amazing drink, right? 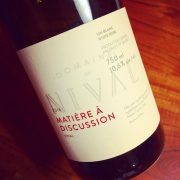 Tasting Nathan Kendall wine + one bottle I brought for the occasion! That being said, it also have results on my relationship with wine. 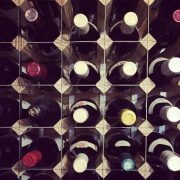 Almost stop buying expensive wines and drinking a lot less of them, even if the cellar is full of wine. What I wanted was pure highly drinkable fruit juice, and that’s exactly what I had as much as possible in my glass. This is not where I’ll go with my Natural Wine propaganda or against all wines that are or looks like they’ve been made industrially. I must say though that I do try to drink as clean as possible and that I might be partially falling for more naturally made wines. 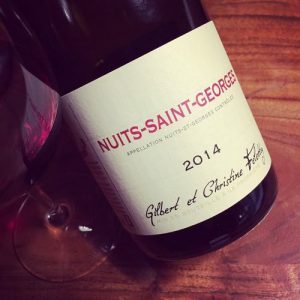 Drinking wines that feels alive, vibrant, that have their own personality. Still, my truth is found in the glass; either the wine is good or bad and that’s the way I’ll keep using to judge wines as I’ve always did! Will keep drinking the wines made by friends, wines from here in Québec or from Ontario or regions I’ve visited like the Finger Lakes or Long Island in New York State. 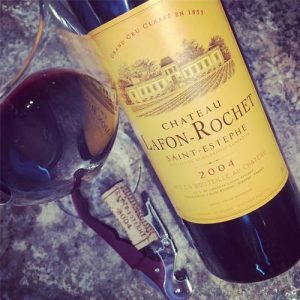 The type of wine I’ve been drinking have changed over the years and especially since I’ve started this blog. I’m drinking more local (that’s where wines from Québec and Ontario are useful) and the wines from the producers and winemakers I’m meeting are taking a great share of those bottles I’m opening day after day. There is no way though that I’ll be forgetting all these moments where wine was poured and enjoyed. Last year was rich of these moments. Meeting François, the winemaker behind Pearl-Morissette and tasting all type of wines for more than two hours while listening him talking about his passion, his vision of what a wine should and should not be. 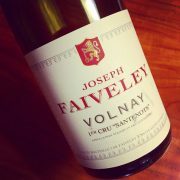 From his “vin primeur” to orange, blends, Gamays (of course!) and his Solera type of wine that was simply stunning! 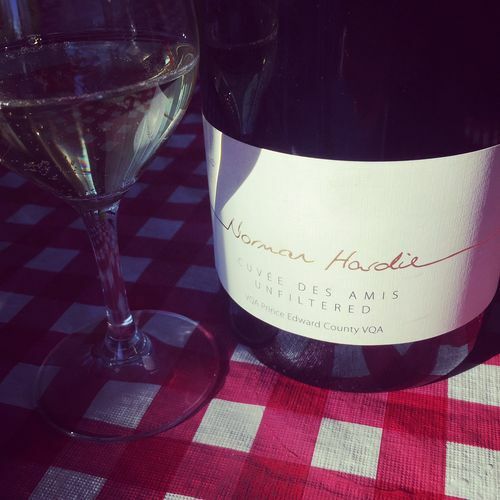 Opening and drinking a magnum of the 2014 County Chardonnay Cuvée Les Amis from Norman Hardie Winery when a good friend came back around. A pairing that can only be dreamed of! 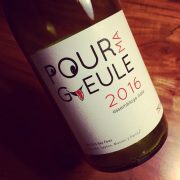 These “Beaujolais” times at the VV Taverna with Rézin Sélection where I got the opportunity to meet Agnès Foillard from Domaine Jean Foillard and Mathieu Lapierre from Domaine Marcel Lapierre, and taste their wines of course! 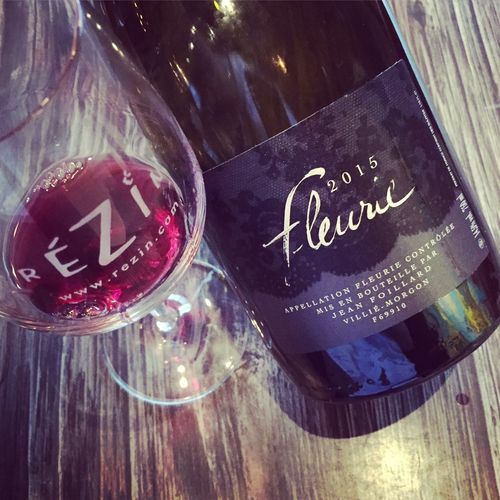 Really great moments of learning and talking Gamay, especially as a fan of that grape variety! 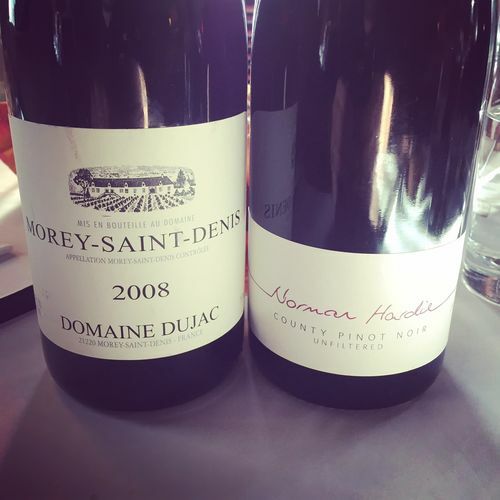 The 2008 Pinot Noir face-off during a wedding anniversary dinner (ours and the one of our good friends) between a County wine from Norman Hardie and a Morey-St-Denis from Domaine Dujac… with a surprising and crushing win from the Norman Hardie Pinot! 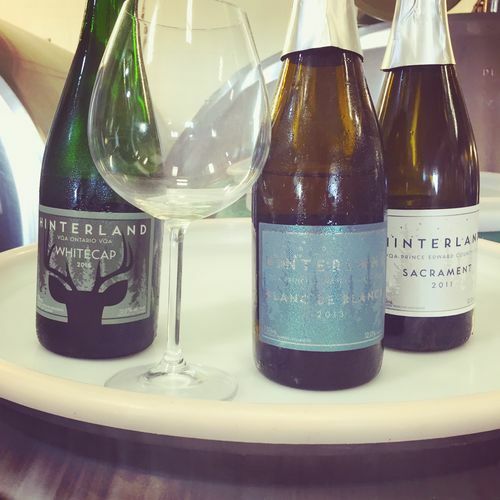 All the tastings of sparkling wines at Hinterland. Always good time while popping a few bottles with Jonas! And what about the food from Neil at County Road Beer, the adjacent beer joint from the same owners. I miss those right now! Have to say that our three visits there were quite delightful and enjoyable! 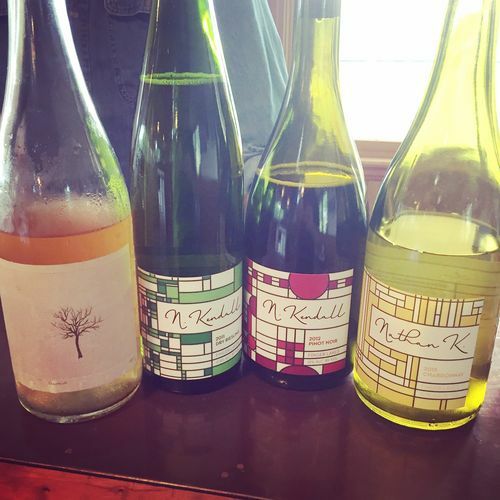 Tasting with Nathan Kendall while visiting the Finger Lakes area. Amazing region and tasty wines. Will have to go back! 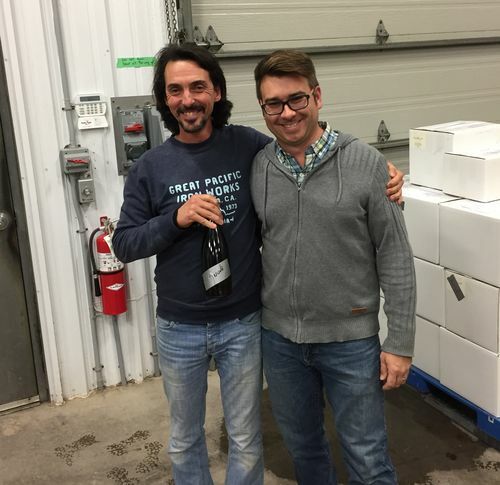 Would love to taste the new Chepika Wine sparkling wine made of hybrid varietals Nathan is making with the help of Pascaline Lepeltier MS. 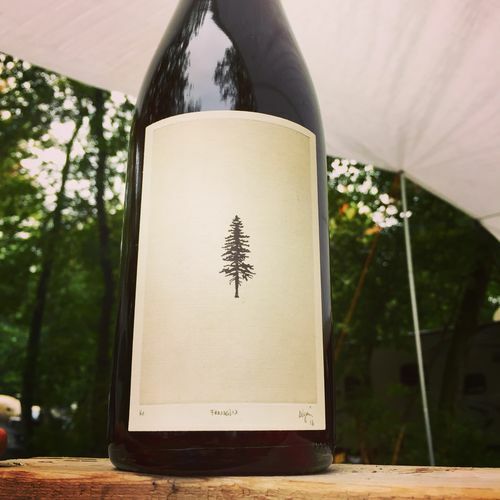 The camping trip we did on Labor Day weekend under pouring rain where wines from Domaine du Nival and Pinard & Filles made it way more enjoyable! Pinard et Filles Frangin 2016 – Parfait en camping! My visits in local wineries. Quality is there, the amount of work huge, same as their passion and intentions of making world-class wines. Gotta drink these wines to help them achieve their goals! 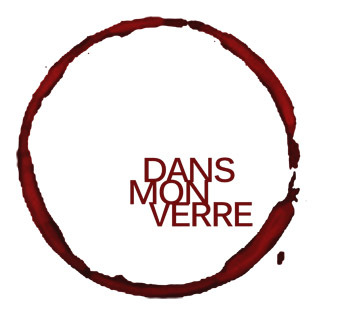 Special tumbs up to Domaine du Nival, Pinard & Filles and the Vignoble Les Pervenches. 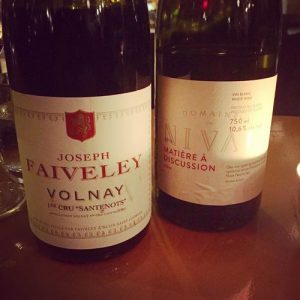 They are rocking Québec’s wine scene and I want to go back to each of them in 2018! 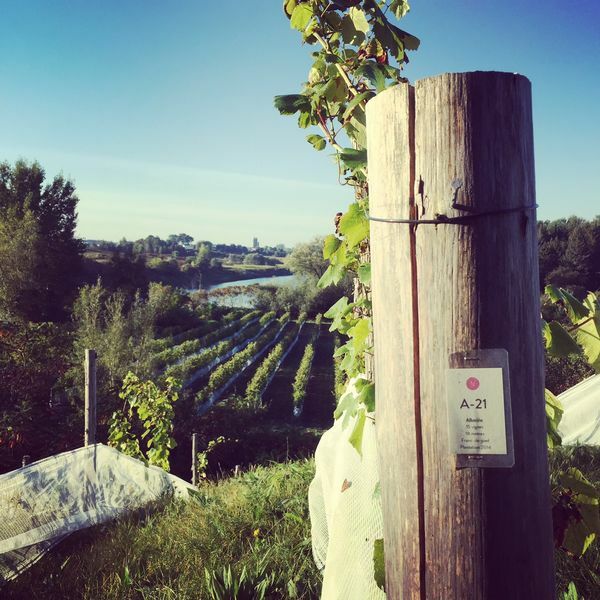 The harvest period in October in the beautiful Prince Edward County with Grange of Prince Edward and Trail Estate Winery. Their wines, the food, the place. Everything is simply magical! Drinking some Saignée de Sorbée Champagne from Vouette & Sorbée during my first visit ever at Vin Papillon owned by Joe Beef (after having a glass of “vin primeur” from Pinard & Filles) with Dave, Vanya, Alex and Jared. I’m pretty sure 2018 will bring in many other great wine moments, but more visits and talks with wine people and less of the wine shows. I’ll be focusing on the people that makes us drink, sell or make wine! Stay tuned also for my alternate project as I’ll be putting online a new blog, called gamay.ca that will be focusing on wines from all around made of that grape (as I don’t want to overflow this one with too many Gamay wines…), but also my Facebook page Vignerons & Amateurs des vins du Québec that will be all about drinking local wines! Keep having fun, drink less but better! Light, young and translucid garnet color. 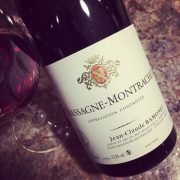 Aromas of spicy red berries, smoke and elegant yet subtle oak notes. Even if it shows its youth on the palate, there is fruit flavors, noble green notes, some oak, spices and a light bittterness on the finish. Glad I’ve opened one, even happier as I have more in the cellar!